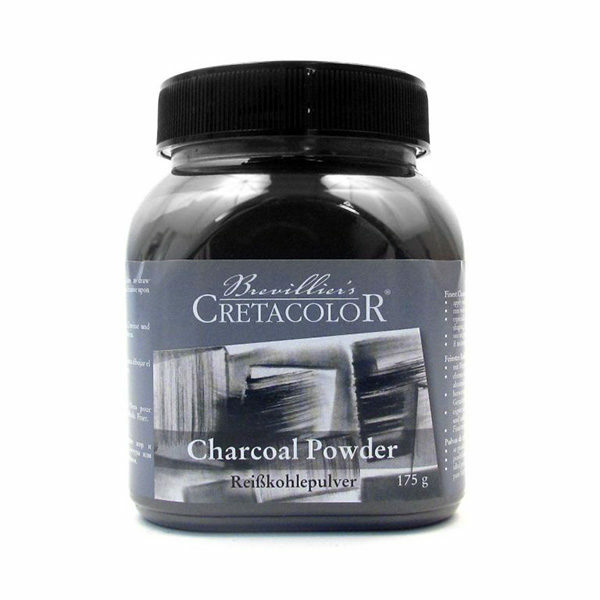 Cretacolor Charcoal Powder is perfect for large-scale drawing and three dimensional working. It glides across your support and can be erased and worked using a kneadable eraser whilst being easily blendable. The Charcoal Powder can be used by diluting with water or other binding agents. Can be used on canvas. Ideal for using in large scale drawing. The charcoal helps to create three dimensional work, to amplify light and shadow effects. This Cretacolor Charcoal Powder can be applied by brush or fingertip and can be mixed with water and binding agent. A suitable fixative must be applied when your work is complete to avoid smearing and smudges.